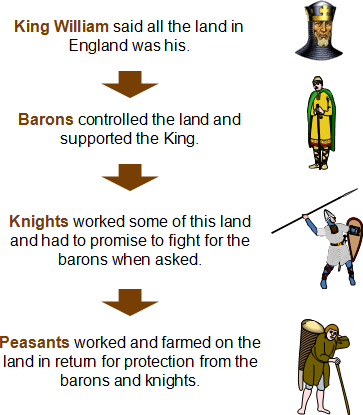 For the feudal system to work, William had to know what sort of a place England was. He therefore sent teams of Norman investigators into the towns and countryside to survey the land and to find out who owned what. In 1086, everything was recorded and written down in what became known as the Domesday Book (a reference to the biblical Day of Judgement). This was written in Latin by just one scribe. It was our first official census and was used as an important legal document throughout the medieval period.